The SitePoint PHP blog has a tutorial posted introducing some of the updates to the theme functionality in Drupal 8 including some new features. Each topic includes a summary of the changes or more information about the topic including links to other resources with more information about each. 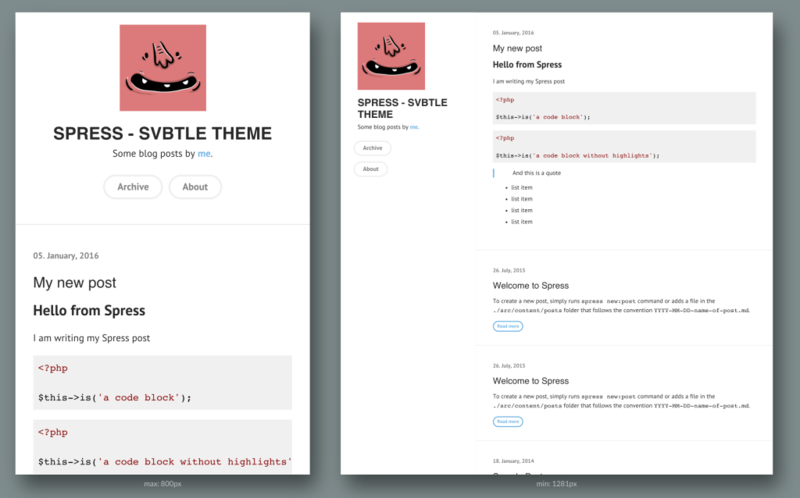 The SitePoint PHP blog has a new post in their series covering the OctoberCMS today, this time looking at how to create a custom theme. They walk you through the creation of a simple "blogging" theme type with posts, categories and home/about pages. Their theme makes use of the rainlab plugin allowing for the use of Markdown content in your posts. They start by adding in the directories and base files needed for the theme to the "themes" directory. With the plugin installed they start working through the configuration content and setup of the theme files including PHP and markup sections. He also shows how to use placeholders, partials and layouts in the content of the posts. Next is the static pages, About and Home, with a bit simpler configuration. The code is then included for the remainder of the pages: single posts, categories and the post listing. They also talk about the PHPStorm plugin for interaction with SensioLabs Insight, WurstCon and Jordi's Toran Proxy work. You can listen to this latest episode either through the in-page player or by downloading the mp3. If you enjoy the episode, be sure to subscribe to their feed to get the latest episodes as they're released. If you haven't visited the main PHP.net site in the last day or two, you may have missed it but they've officially released the new look for the site, a more modern look for both the manual and rest of the site. This new version updates the technologies used as well, including HTML5, Google Fonts and the Twitter Bootstrap. Go take a look at the new version and, if you spot any issues or bugs in it, be sure to report the problem on the PHP bug tracker.